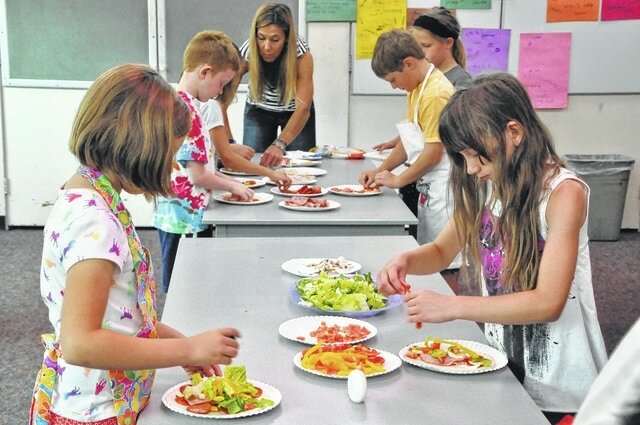 Students in the Delaware City Schools’ summer enrichment course “Cooking 101” make themselves tortilla snacks Tuesday morning at Willis Intermediate School. The program runs five days long — from 8:30 to 11 a.m. each day this week. The school district offers many summer enrichment programs in June and July.